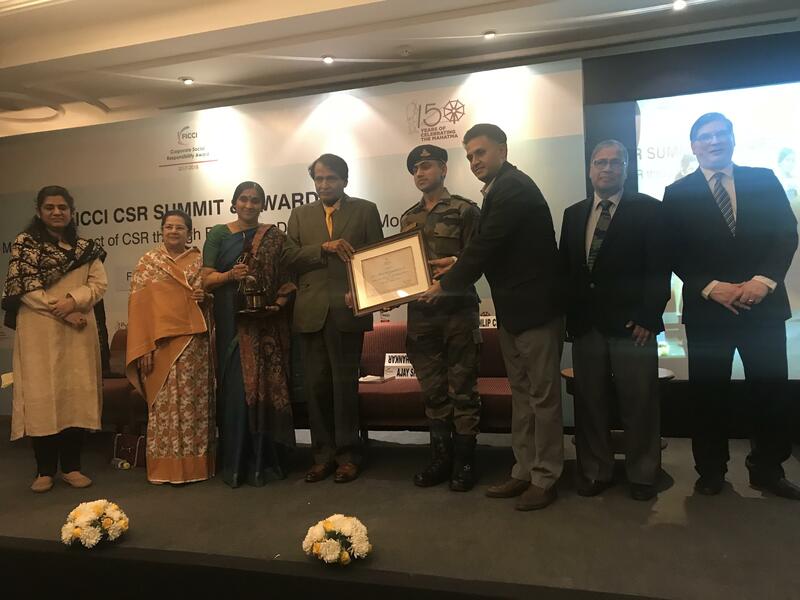 REACHA project with Indian army at Baramulla, J&K has won ONGC the FICCI CSR Award 2018. 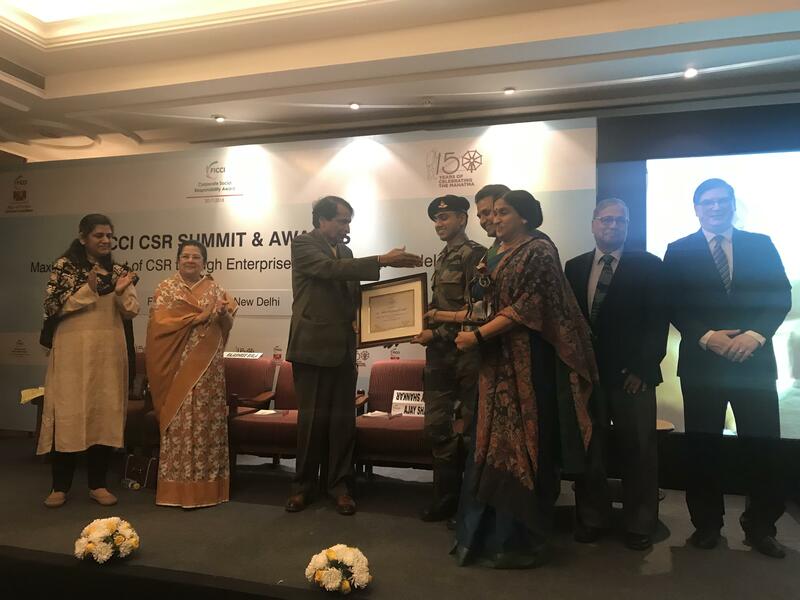 Honourable Union Minister Sri Suresh Prabhu gave the award to ONGC on 21st February 2019 at Delhi. The project exemplifies nation building in a conflict zone through skill and livelihood enhancement of youth in Kashmir - to mainstream them into national fabric as part of Operation Sadbhawana of Indian Army. It could not have come at a better time when our nation continues to battle its enemies post Pulwama attack on our braveheart CRPF Jawans. 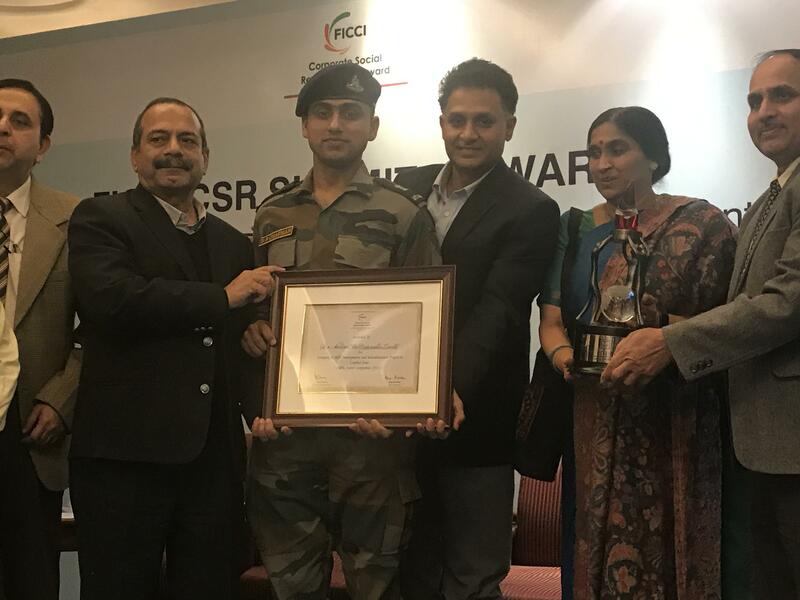 REACHA salutes Indian Army and thanks ONGC for their trust and faith. It dedicates its efforts to our martyred jawans and all other soldiers who bravely defend the nation day in and day out. The journey is long and arduous, but only firm determination and the continuous grind of mindful action can win us the battle. and Hospitality - in alignment with market requirements, so that the youth get an opportunity to enhance their family incomes. This not only empowers them, but can also dissuade them from anti - national activities like stone pelting and insurgency - a major national and global challenge. If the young have choices to decide their future, they are likely to adopt those activities / vocations that not only provide them livelihood, but also keeps them and their families safe and out of conflict. Success of peaceful efforts like these can provide a proof of concept for larger policy and action on how to move towards resolution of civil strife and insurgency. 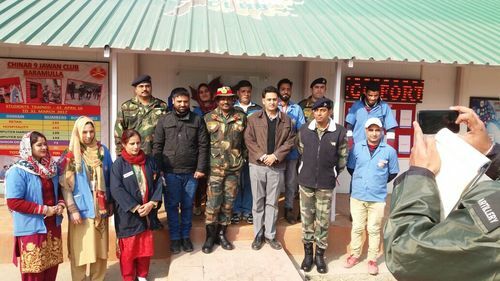 REACHA is the Implementation Agency / NGO of the project at Chinar 9 Jawan Club, Baramulla, under overall supervision of Indian army. ONGC has provided support through its CSR (Corporate Social Responsibility) programme. This is a flagship initiative under Operation Sadhbhavana. 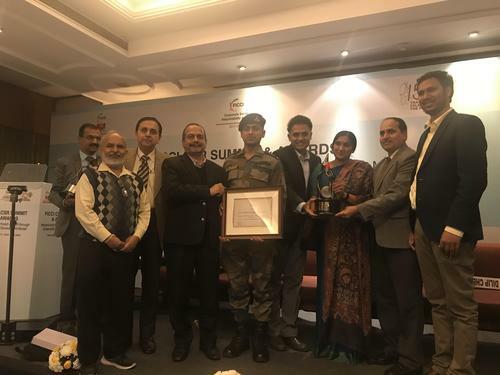 Since April 2016, 120 plus youth in Fashion Designing (ASSOCHAM Certification), about 150-200 youth in Retail Management (NSDC Certification) and 150 – 200 youth in Hospitality (NSDC Certification) trades have been trained at the Club. Overall, about 60-70% youth trained have been able to enhance their livelihood - through jobs, and/or by setting up their own boutiques/entrepreneurship ventures. 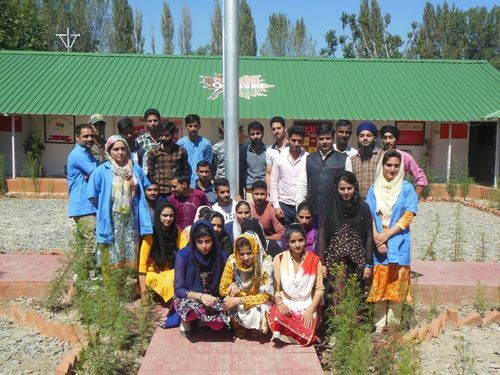 Some eye-opening stories have now begun to come out of Chinar - these can inspire a nation to look for medium to long term solutions for resolving the Kashmir crisis.
" After class 12th, one of my teachers recommended me to join the Chinar 9 Jawan Club. I have always been keen on learning fashion designing and starting my own business. The teachers and staff at the Club were very helpful. Our teacher, Mrs. Harmeet Kaur was very motivating, and she guided us with patience and diligence. Moreover, we were taught computers and English-speaking skills to later become entrepreneurs. After the 6-month training, I opened my own enterprise - 'Khadija Boutique' in the market. It has been two years since then. I started it single handedly and today I work and teach 5-6 other girls who want to earn their own money and be independent. I trained them for free and then hired them to work for me. Now they support their families financially and love their work. I have many clients from my village and nearby places. Everyone knows me in the market. My parents are also happy and proud of my efforts. My gain is much larger than my investment. Not only did I learn to make clothes, but I am also gaining an understanding about how to be a business woman. I dream to bring together more women and girls who wish to be independent. I want to teach them this skill and give them wings to fly. Today, we work as a 5 people team, I dream of making a team of 50 tomorrow and 100 later. I hope one day I can expand my business to other states and then to other countries. I want to bring out the beauty of Kashmir fabric and embroidery to the world. I work tirelessly with the entire team to make clothes for our customers. I wish to learn strategies to expand my business through social media. I have come so far, and I wish to go beyond.